M&A Didn't Add Value in 2018. How About 2019? M&A Didn’t Add Value in 2018. How About 2019? While acquiring companies have underperformed stock indexes for the past two years, the outlook for M&A may be brightening. As we reported in December, the volume of mergers and acquisitions activity rose in 2018 and is expected to grow further this year. That does not mean, however, that deals were successful last year or necessarily will be in 2019. 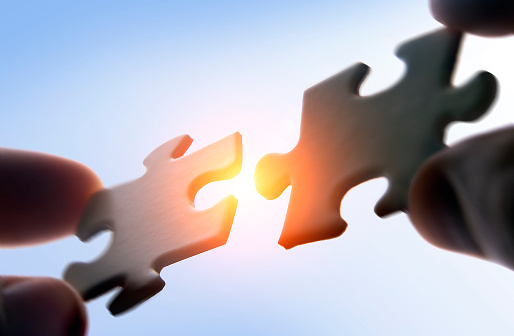 The global M&A market is struggling to add value, and the post-deal performance of buyers has steadily declined since a 2015 peak, according to data compiled by Willis Towers Watson (WTW) and the University of London’s Cass Business School. Following a fourth-quarter 2018 in which dealmakers underperformed — in terms of shareholder value — for an unprecedented fifth consecutive quarter, and a year in which they recorded their worst annual performance in a decade, what can potential acquirers expect in 2019? The outcomes may differ regionally. According to WTW’s latest Quarterly Deal Performance Monitor, Asia-Pacific acquirers in 2018 performed worse than those in any other region, scoring 17.1 percentage points below the MSCI All-Country Asia Index. Compared with that dismal outcome, North American acquirers had a relative boom year, underperforming their regional index by only 3.8 percentage points. Europe was the only region where acquiring companies outperformed their regional index during 2018, by 5.9 percentage points. The global average was 3.0 percentage points below the MSCI All-Country World Equity Index, the second straight year of underperformance after dealmakers outperformed the market in seven of the prior eight years. “The market stress that characterized 2018 will persist, with rising regulatory uncertainty, as well as ongoing trade and tariff negotiations including Brexit talks and the U.S.-China trade disputes, making it ever more challenging to deliver deals successfully,” says David Hunt, senior director of WTW’s mergers and acquisitions team. Things can only get better: Last year, dealmakers experienced their worst annual performance since the financial crisis in 2008. Although complex headwinds remain, WTW is optimistic that the market will bottom out in 2019 and, supported by more clarity over the direction of the U.S. administration and Brexit, allow buyers to achieve better value from their deals. The U.S. M&A market will remain steady, but foreign deals will fall: WTW expects to see a global decline in the number of cross-border deals, because of regulatory constraints fueled by an increasing trend toward protectionism. That will lead to a more defensive strategy of domestic consolidation, for which some nations will be better equipped. The U.S. domestic M&A market, for example, has traditionally been very robust, so volumes are expected to remain stable as acquirers focus on domestic targets. No uptick is expected in Asia-Pacific: Following their awful 2018 performance, as well as a significant drop in deal volume, Asia-Pacific acquirers will continue to underperform the overall regional market, with volumes heavily affected by muted M&A activity by Chinese companies. Outside interest in the U.K. remains strong: While ongoing uncertainty around Brexit is likely to translate into less M&A activity for U.K. companies in 2019, the positive results enjoyed by non-U.K. acquirers when buying in the U.K. will see Britain remain one of the most popular M&A target nations. Mega-deals will continue to struggle: The buyers involved in 17 mega-deals (transactions valued at over $10 billion) in 2018 underperformed the market by an average of 14.5 percentage points, the worst performance among all deal types. Global political uncertainty, from trade wars and growing protectionism to Brexit, will continue in 2019. That will negatively impact mega-deals in particular, as buyers will be cautious of transactions that take a long time to complete in a volatile deal-making environment. “Technology disruption, changing consumer behavior, the slowdown in the growth of emerging markets, and record cash reserves will drive companies to get into the M&A market,” says Hunt. In WTW’s quarterly M&A analysis, performance is measured as a percentage change in share price from six months prior to the deal announcement date to the end of the quarter during which the announcement is made. All deals where the acquirer owns less than 50% of the shares of the target after the acquisition are removed, as are deals where the acquirer already held more than 50% of target shares. Only completed M&A deals with a value of at least $100 million that meet the study criteria are included in the research. Deal data is sourced from Refinitiv.